Openherd: SUNNY ALPACAS is a farm located in Blaine, Washington owned by James & Ichi Kwon. 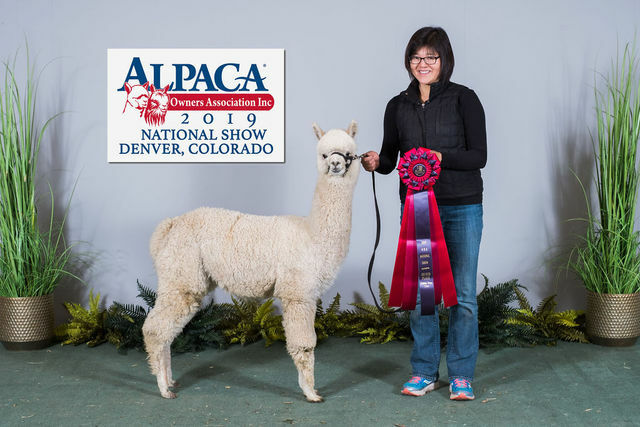 We love the wonderful experience of raising alpacas and this lifestyle. Our farm is situated on 12 serene acres of land in Blaine, WA. Blaine, WA, is located between the beautiful Cascade Range and the Puget Sound, and it's "Where America Begins" as its northern boundary is the Canadian border.” The climate here is coastal and milder than the rest of the Pacific Northwest. We enjoy more sunny days and fairly milder weather. Our farm is conveniently located, less than 5 minutes away from I-5 and 5 minutes away from the border. 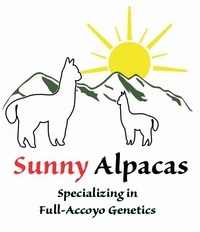 Sunny Alpacas is specializing in Full Accoyo genetics. We focus on producing elite show quality Huacaya Full Accoyos. Our goal is producing fine Full Accoyos. 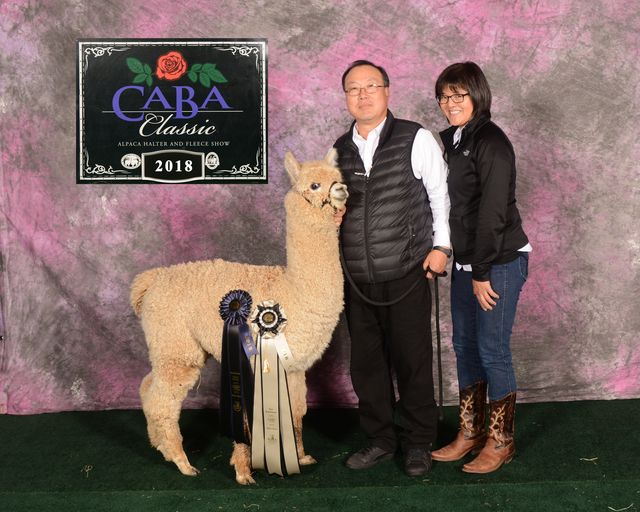 No doubt, Full Accoyo genetics have been contributing to the quality of North American alpacas to be the best in the world. They are not only bigger but also some of the finest alpacas in the world from Peru. We have spectacular herdsires for this goal: Accoyo America Eclipse, Accoyo America Endeavor, Heather's Acre Accoyo Sirius and SA Accoyo Avelumino. 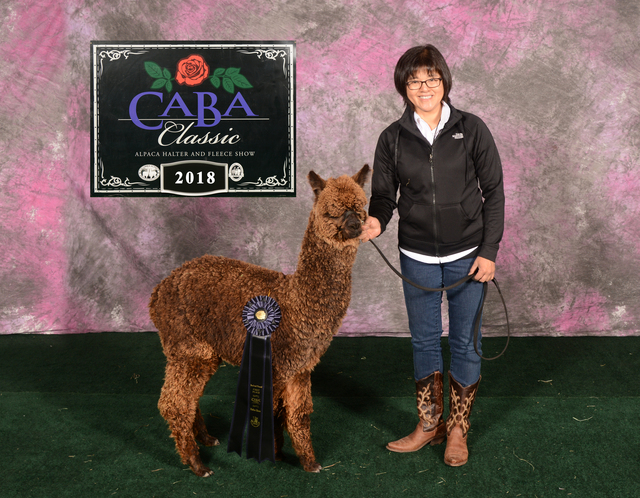 As an alpaca breeder, we are also working toward producing our own unique alpacas. By “unique,” we mean producing dark color Full Accoyos from medium fawn, dark fawn, brown, grey and black colors. As many breeders know, Full Accoyos are usually white or light fawn. We want to produce darker Full Accoyos. We have exceptional herdsires for this goal: Black Accoyo Jackpot, HDF Accoyo Lincoln, Mary's Accoyo Beowulf, Accoyo America Kohala and Michelangelo's Accoyo Superior. Our herdsires come with a variety of genetics, such as Caligula, Elite, Royal Fawn, Leon, Camilio, Flelix, Vengador, Snowmaster, Hemingway, El Moustachio, El Nino, Royal Avenger, Endurance and Tequila. 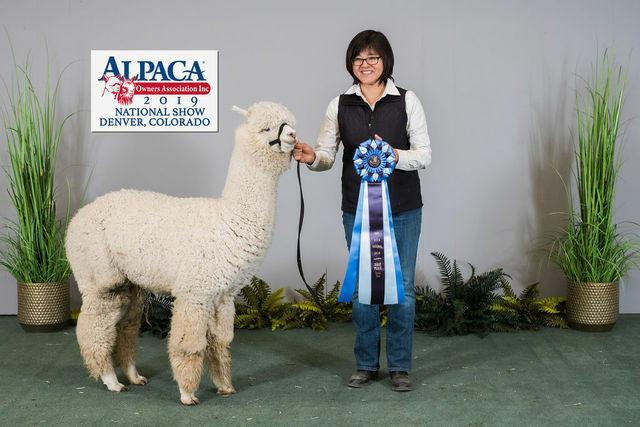 Sunny Alpacas can offer you many different Accoyo bloodlines to choose from for your breeding program. Accoyo America Endeavor is El Nino’s son. Accoyo America Eclipse is Elite’s son. Accoyo America Kohala is Endurance’s son. Mary’s Accoyo Royal Beowulf is Royal Fawn’s son. HDF Accoyo Lincoln is Leon's son. SA Accoyo Avelunmino is Royal Avenger’s son. Heather’s Acre Accoyo Sirius is Vengador’s line. Black Accoyo Jackpot is Flelix’s line. Royal Extreme is Snowmaster’s son. Anejo and Eyota are Hemingway’s line. We welcome visitors to our farm and love to show you our alpacas! 1. Bred females are ultrasound-confirmed pregnant. 2. Open females come with free breeding with one of our herdsires. 3. Females sell with full reproductive and live-birth guarantees. 4. Breeding quality males with full reproductive. CABA Auction LOT 5 & LOT 20 - Jackpot's Offspring! We have two lots at CABA auction - both sired by Black Accoyo Jackpot! !